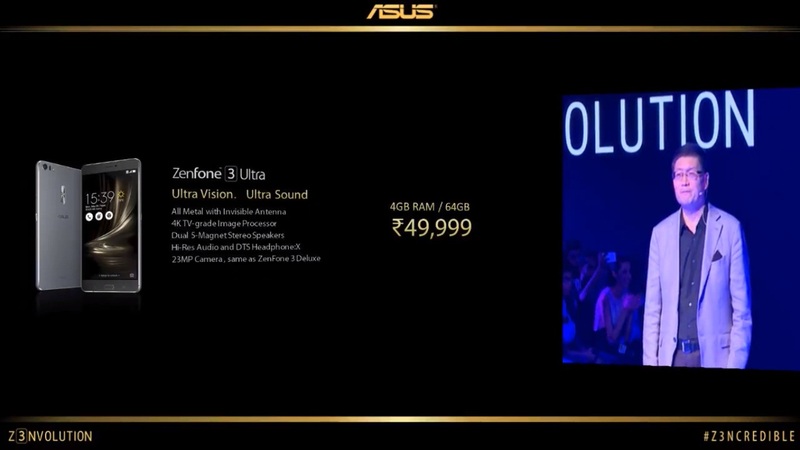 As scheduled Asus has launched the Zenfone 3 Series smartphones in India. 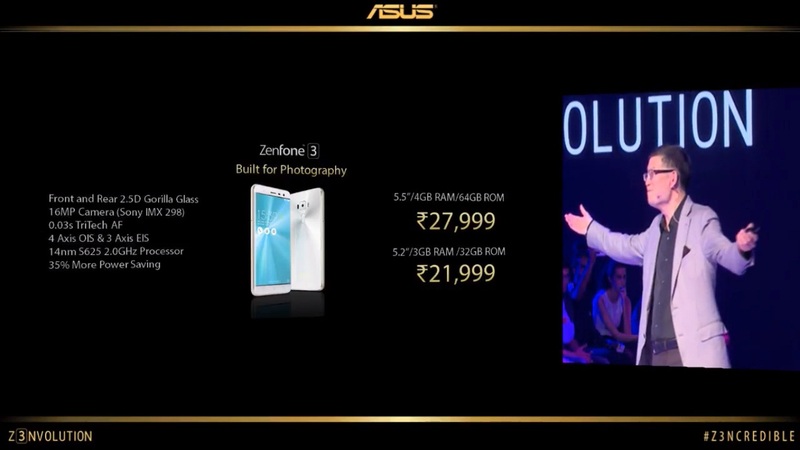 Earlier today Zenfone 3 was listed on Snapdeal, and everyone was expecting just one phone to be launched today. 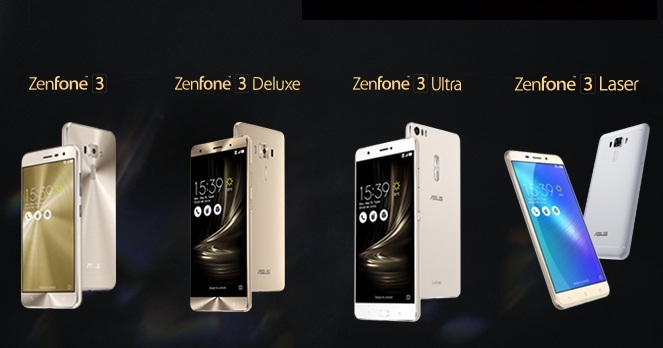 But, Asus has launched all the Zenfone 3 series phones that include the Zenfone 3, Zenfone 3 Laser, Zenfone 3 Ultra and Zenfone 3 Deluxe. The phones were first unveiled at Computex 2016 in Taipei in May this year. 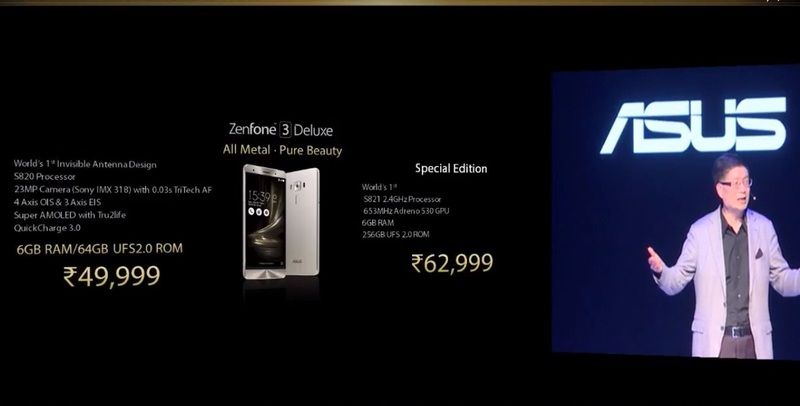 All the four phones have a full metal body and a 8 MP front camera. Let us take a look at the specification of all of them. 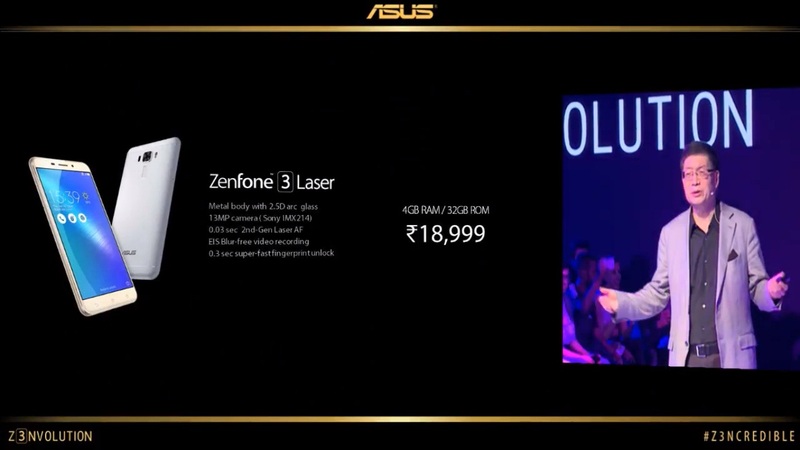 Zenfone 3 laser has a 5.5-inch full-HD display with 2.5D curved glass. It is powered by an octa-core processor coupled with 4GB of RAM and 32 GB internal storage. It has a 13 MP primary camera with Sony IMX214 sensor, EIS Blur free video recording and 0.03 s laser autofocus. It is priced at Rs. 18,999. Zenfone 3 features a 5.5-inch/5.2 inch full-HD Super IPS LCD display with Corning Gorilla Glass on the front and back. It is powered by a Qualcomm Snapdragon 625 octa-core processor coupled with 3/4 GB of RAM and 32/64 GB internal storage. It is equipped with a 16 MP rear camera with IMX298 sensor OIS, EIS, Sapphire lens protection and 0.3s laser autofocus. All this is backed by a 2650/3000 mAh battery respectively for the two variants. It is priced at Rs. 21,999 and Rs. 27,999 respectively for the two variants. It has a 6.8-inch full-HD IPS LCD display with 95% NTSC color gamut and it is the world’s first smartphone with a dedicated display processor like those found in the latest 4K UHD TVs. It is powered by a Snapdragon 625 processor coupled with 4GB of RAM and 64GB internal storage. It is equipped with a 23 MP rear camera with color correction sensor. It is backed by a 4600mAh battery with Quick Charge and can also act as a power bank. It is priced at Rs. 49,999. It features a full metal body with the world’s 1st invisible antenna design. It has a 5.7-inch full-HD Super Amoled display. It is powered by Qualcomm Snapdragon 821 processor coupled with 6GB RAM and 64GB internal storage that is expandable up to 256GB. It is equipped with a 23 MP rear camera with 4K UHD video recording support. All this is backed by a 3000mAh battery. It is priced at Rs. 49,999 and Rs. 62,999 for a special edition. Out of the four phones only Zenfone 3 is available on Flipkart, rest will be available very soon.